HVAC - D.V. Brown & Associates, Inc. HVAC - D.V. Brown & Associates, Inc.
From factories to office buildings, the primary purpose of every facility is to provide a comfortable, productive work environment for its occupants. 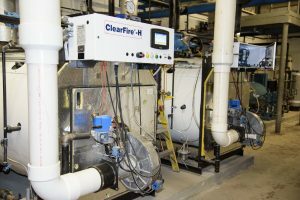 If your HVAC system isn’t on par with the unique parameters of your facility, you may find it difficult to maintain a comfortable temperature and your employees may find it difficult to focus in the freezing or sweltering environment. DV Brown & Associates, Inc. (“DVB”) takes every unique aspect of your space into consideration when designing and building your HVAC system. Through our well-rounded team of experts, we offer solutions that help minimize operating costs, reduce system failure and ensure optimal performance. Our HVAC team is comprised of fully licensed engineers, HVAC experts, installation technicians and other specialists as needed. Our collaborative approach enables seamless coordination between all trades. Environmental criteria, budgets, code requirements, energy efficiency, structural frameworks and more impact the design of your HVAC system. By utilizing the most advanced equipment and a diverse team of professionals, all of DVB’s HVAC systems are tailored to meet your facility’s unique specifications. We add value to each project by keeping abreast with the latest tools and technologies to optimize system performance. From solar heating to convection heating, DVB is armed to the teeth with state-of-the-art equipment and a crew with the capacity to service and install any heating system. 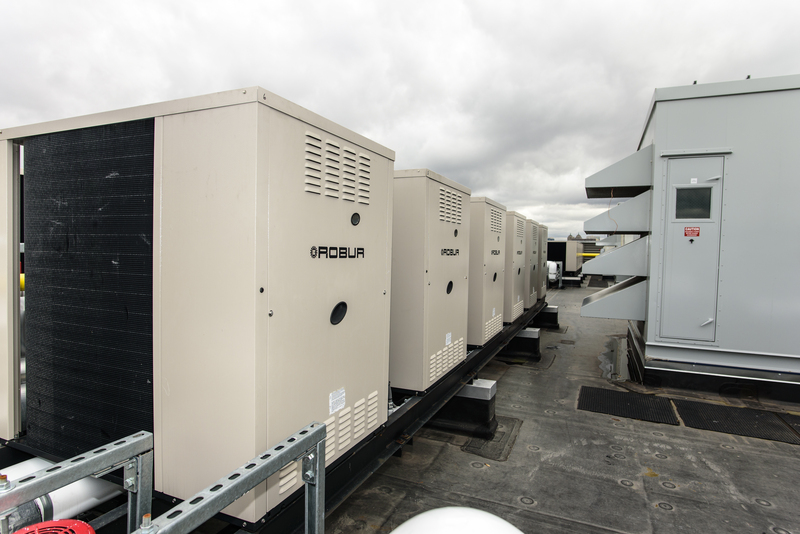 From industrial facilities and office buildings, to retail and restaurant-sized spaces, our HVAC engineers and technicians are well-versed in all types of cooling systems to provide your facility with year-round comfort. In Buffalo, we’re no strangers to long, cold winters, and with those winters comes dry air (low humidity). Low humidity can cause cracking, shrinking and warping to occur to the building’s wooden structures (i.e., building frames, wooden structures, flooring, etc. ), as well as cause damage to facility equipment and physical discomfort, such as cracked lips and itchy skin. Humidifiers put moisture back into the air, which benefits your building and its occupants. DVB firmly believes that from college campuses to industrial plants, indoor air quality plays a vital role in the health, safety and comfort of building occupants. Moreover, poor air filtration increases your building’s energy usage as it requires the HVAC system to work harder to pass air through a congested air filter. When you receive an HVAC system from DVB, you can rest easy knowing that our 24-hour service team is available for routine maintenance (i.e., cleaning your air filters) at any time, whether you schedule ahead or call last minute. Efficient filtration has allowed many of our clients to reduce their CO2 emissions and energy costs. We can configure all HVAC systems for heat recovery – a key feature that conserves energy through rapid energy payback. These systems exhaust the building’s stale air while bringing in fresh air from outside to allow for a continuous flow of air that maintains a consistent, comfortable temperature while using significantly less energy than other heating and cooling systems. Dust collection systems ensure that your building’s incoming air undergoes filtration to minimize the entry to dust, pollen, insects and other issues that may be present through less holistic ventilation systems. Energy audits determine your facility’s energy usage, and identify what measures can be taken to reduce energy consumption, which will save you money and reduce your carbon footprint. Once we inspect your equipment, we can use diagnostic technology to determine your short and long-term savings if you choose to recommission. We also let you know if you’re eligible for utility rebates. Through our energy audits, many DVB customers have enjoyed reduced energy consumption, upgraded equipment and utility rebates. Ensuring the health and safety of building occupants, while minimizing environmental impact is crucial to each project’s success. 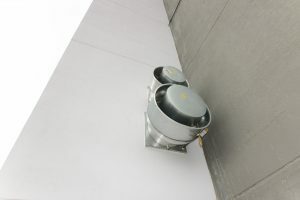 Your ventilation system is a critical line of defense in preventing any unwanted release of chemicals, which can be hazardous to both building occupants and the surrounding environment. At DVB, we take all the necessary steps to ensure your facility is equipped with a keen, high-functioning ventilation system. In addition to rigorous employee training in the code and practical design requirements for all piping systems, DVB provides turnkey safety features, such as explosion-proof heating and cooling ventilation systems. As part of our turnkey design build services, DVB installs custom HVAC control systems. Whether you need air conditioning with zone controls in one section of the building and a mixture of heating and cooling controls in another, our systems are tailored to meet the needs of your unique space. With zone controls, straightforward dashboards, alerts, and performance reporting, DVB makes regulating your facility’s temperature easy and convenient. Whether your walk-in cooler is on the fritz or you need an entirely new refrigeration system, D.V. Brown & Associates, Inc. (“DVB”) should be your first call. DVB stands ready to handle any and all refrigeration needs. From the construction and fabrication to installation and long-term maintenance, DVB is equipped with the necessary staff to handle refrigerated rooms, insulated refrigerated spaces, temperature installation, air-conditioning units and more. We take great pride and responsibility in our HVAC and refrigeration systems, and provide expert service and maintenance throughout their lifespans. Our 24-hour repair Service can resolve any issues with your system. Contact DVB to discuss your heating, cooling and refrigeration needs. We are fully-licensed to service any unit, and experienced in designing, fabricating and installing all types of refrigeration systems to meet the needs of a variety of industries. Our design and management teams work alongside our refrigeration specialists allowing for seamless coordination between all trades, and enabling us to ensure timely, turnkey installations under strict quality standards that meet and exceed client expectations. Our refrigeration specialists add value to each project by keeping abreast with the latest tools and technologies to optimize system performance. Chlorofluorocarbon-based (CFC) refrigerants are becoming obsolete due to their harmful effects on the ozone layer. DVB believes that ensuring the health and safety of building occupants, while minimizing environmental impact are vital elements to each project’s success. We are chlorofluorocarbon (CFC) code compliant, and licensed to service or dispose of CFC-based refrigerant systems. As an alternative to CFC-based refrigerants, DVB employs ammonia-based refrigerants, which have far less environmental impact and are unparalleled when it comes to food preservation, cooling systems and satisfying the needs of industrial process plants. If your lab utilizes a low-temperature-freezer (ULT), you understand how important these systems are when it comes to the preservation of research samples and the like. These samples are unfortunately susceptible to thawing due to power outages and mechanical failures. While it’s difficult to predict, or prevent a power outage or mechanical failure will occur, DVB goes to great lengths to ensure that your facility is optimized to avoid such system failures. We provide both portable and central chillers. DVB offers comprehensive installation and repair services to any walk-in cooler or freezer system. A faulty ice maker can increase your facility’s energy consumption and monthly expenses. It also leaves room for malfunctioning, which can be catastrophic in a hectic environment, such as a hotel bar or restaurant. DVB provides comprehensive installation and repair services to offer food and beverage equipment to meet the needs of your business.